Electric Cars are certainly the future, and this has been emphasised with the UK declaring to ban the sale of all petrol and diesel cars and vans from 2040. One question CW Electrical are commonly asked is, “why should I get a dedicated EV Charging Station when I can just plug into my nearest socket?”. As Government approved Bristol EV Charge Point installers, we can help shed some light on the benefits of having a dedicated EV Charging Point in your home. The first generation of Electric Vehicles were small city cars, often with a small range, designed to be recharged from the standard socket-outlets that you are used to using in your home. However, this way of recharging only allows a maximum of 10A (amps), leading to long charge times. Manufacturers were quick to realise that for Electric Vehicles to be a viable alternative to the combustion engine, distance travelled on a single charge must be longer, and the time taken to charge the battery must be shorter. Thus, they needed a way of recharging batteries at a higher rate than a typical socket in your home would allow. To fix this problem, EV Charging Stations were created, capable of charging in AC or DC and from 16A to 72A, these Charging Stations allow much faster and safer charge times. The Government understood that an infrastructure must be put in place to ensure the lack of Charging Stations were not a barrier for people contemplating making the switch to Electric Vehicles and this is why we are able to offer grants for Home Charging and Workplace Charging station which can cover the majority of the costs of installation. Certain models of Car Chargers have the ability to ‘lock’ in your charging lead, meaning people walking past your vehicle cannot unplug your lead without a card/pass/key which allows your Car Charger to release the cable. When plugging directly into a socket, specifically an external one, you are open to people tampering with it. When plugging directly into your home’s socket, the amperage is limited, and thus charging times will be elongated. CW Electrical can install a Mode 3 car charger which can run at either 16A or 32A – these Chargers are covered under the Government Grant and will greatly reduce the charge time of your Electric Vehicle. As previously mentioned, the government have offered a Grant Incentive which covers 75% of the installation cost or a maximum of £500 incl. VAT. The Government have put together a great information booklet which fully explains all you need to know – Click Here!. A few forms need to be completed, but feedback has been that it is surprisingly easy! Our office staff will be more than happy to help with any queries you have when filling out the paperwork. Dependant on the type of Business or Business location could determine whether investing in a car charging point would provide another source of income. Pay-As-You-Charge points are readily available and have seen good levels of success as the amount of E.V vehicles on the road are increasing. By 2040 all new cars sold will be Electric, this only further underlines the direction the country is taking with forms of transport. The future is going to be green so getting in early can only be an advantageous thing to do. In an ever increasing green-conscious country, set yourself ahead of your competitors with the ability for customers or employees to be able to charge their Electric Vehicles. Attract high quality members of staff, environmentally friendly customers, or green tenants. The difference between someone saying yes and no could be the ability to charge their vehicle whilst at work, or safely in their block of flats. Similarly to the Domestic Scheme, the Government have implemented a Workplace Charge Scheme. 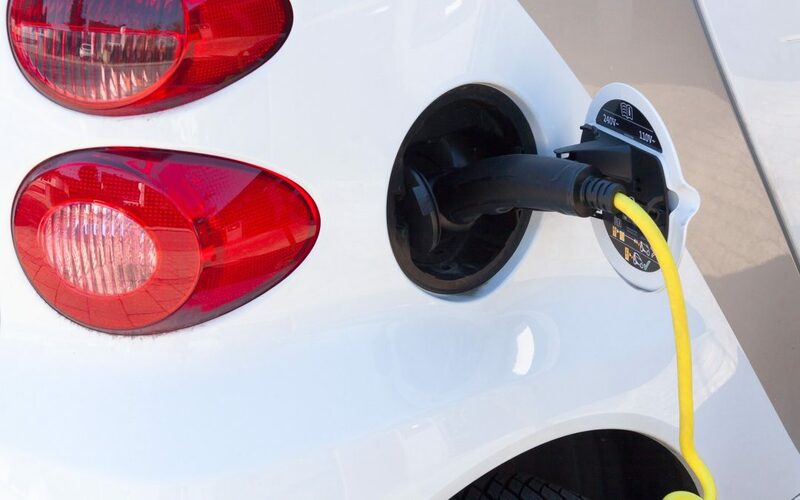 The Office of Low Emission have announced the introduction of funding to Commercial Premises for the installation of Charging Points and a grant of £300 can be claimed per Charge Point up to a maximum of 20 Charge Points. The applicant of the grant will be granted a voucher which can be redeemed and installed by CW Electrical. Unlike the Home Scheme, Commercial Premises do not necessarily need to have an Electric Vehicle on site. However, to obtain a grant, a demand for the EV Charge Point must be justified in the initial application.